Hiperfire's EDT triggers give your AR-15 an upgraded single-stage trigger pull without sacrificing "mil-spec" reliability. 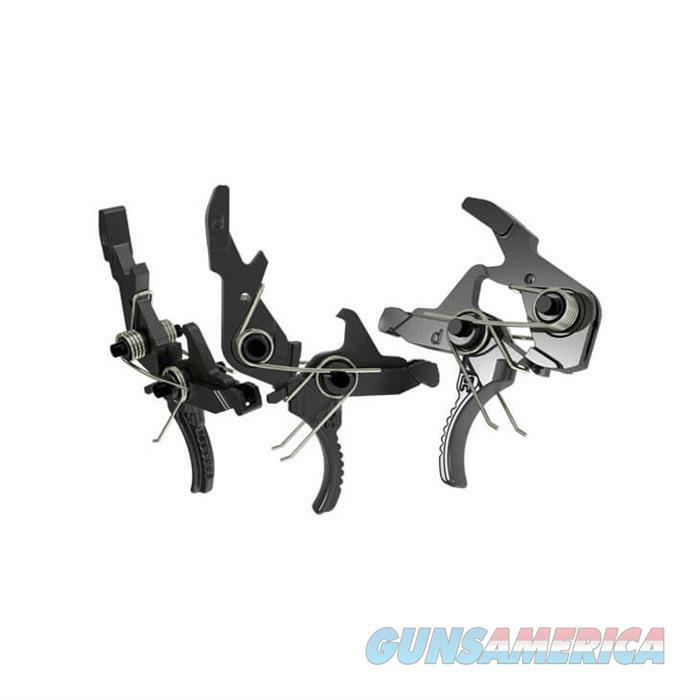 All four Enhanced Duty Triggers deliver a medium pull weight of 4.5 or 5.5 lbs. - lighter than a plain G.I. trigger for sure, but safe enough for law enforcement, service rifle competition, and personal defense use. Mechanical advantage built into the EDT trigger geometry gives the lighter-than-mil-spec pull weight, while mil-spec hammer energy is preserved to ensure hard, positive primer strikes. Hiperfire coupled the lighter weight with an overall pull profile that is smooth and consistent, with a clean, decisive break, short over-travel, and a fast reset you can feel and hear, making the EDT a very comfortable "shooter's" trigger. Hiperfire offers the EDT trigger in four configurations: Sharp Shooter is the base-model with features listed above and a curved trigger shoe. Heavy Gunner has the curved shoe and even heavier SwingFast hammer than the Sharp Shooter for ultra-reliable hammer strikes. The Designated Marksman has Hiperfire's Duplex Trigger Bow. Place your finger in a high position for a heavier pull and an extra measure of safety to prevent premature discharge under stress. Low position for precise, target-rifle control. Also has extra-weight Swingfast hammer. Enhanced Duty model is beefed up for full-auto select-fire AR-15 / M16 / M4 type rifles carbines; curved shoe.